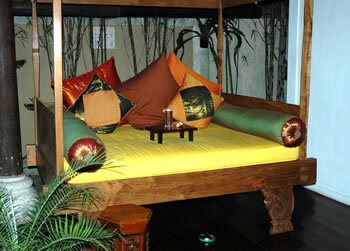 Take a dip in the private and secluded pool, have a massage, let the staff bring you a drink - go on relax! 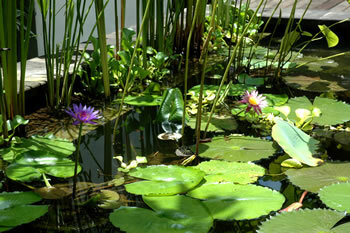 Villa Tukad is a private fully staffed house set within secluded private gardens including swimming pool and river frontage. 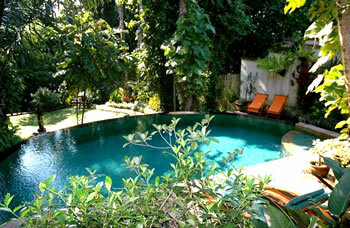 Located close to the famous surfing beaches of Canggu, this villa offers natural beauty and serenity Balinese style. 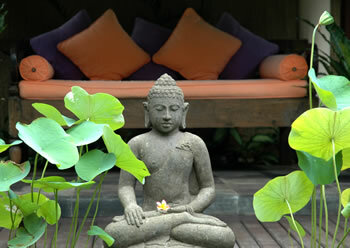 Location: In the village of Tumbak Bayuh, three kilometres from the coast at Canggu/Pererenan. From Denpasar: take the road to Tanah Lot and turn right to Tumbak Bayuh. Villa Tukad is close to picturesque paddy fields yet only 20 minutes from the bustle of Seminyak where you can indulge yourself in luxury shops, bars and restaurants.